Typically a couple times a week (but nearly always at least once a week) a wonderful person who is part of the Legacy Coalition makes and posts a photo gif to the blog. I personally have several which are my favorites, but I especially love the one he posted today - so I have to share it with you! 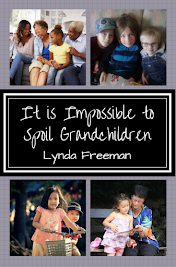 A year ago I was invited to speak at a grandparenting conference in Minnesota - check this link to see what I had to say about how the way we see our grandchildren has a huge impact on the way they see themselves. In just ten days it will be June 1st - and the perfect time to begin using Generations Quest with the children you love! You still have time to order and begin on June 1st . . . so why not order today? Generations Quest will help you pass on a heritage of faith to the children you love - check it out and order it at this link! As you have likely noticed, I LOVE books for children! 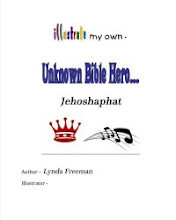 I really LOVE Bible books which introduce children to people from the Bible, so when those people are some of the "unknown" heroes . . . well, I especially LOVE those books! 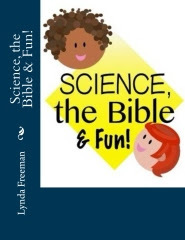 While there are many books about Noah, Daniel and David, there are not many about lesser known Bible people, so, a few years ago, I sat down and wrote several Unknown Bible Hero books; but since I'm not really an illustrator, I thought it would be fun to write the books where children could illustrate their own books! This could be a fun project for you and your grandchildren/children to work on together over the summer - great rainy day project! Why Should I Invest in Generations Quest for My Family? One Final Answer . . . Generations Quest makes sense - today I'm sharing one more reason . 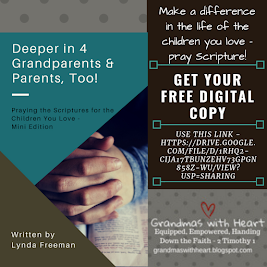 . . because it is something simple you can do to be intentional about passing on your faith with any of your grandchildren; preschool through elementary no matter where they live. Far too often we do not do anything to pass on our faith . . . or we do things in a hap-hazard way, but with Generations Quest you will be provided the tools you need to be intentional and focused about passing on your faith to the children you love! 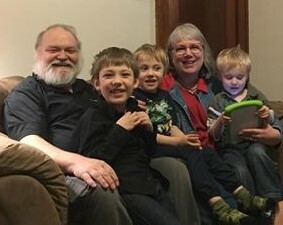 You will find it is so much easier to stay in touch and to connect in truly meaningful ways with Generation Quest and you will find your grandchildren's love for God's Word and their own walk with God will grow deeper and deeper as you all read God's Word each day! 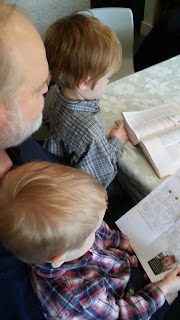 I've been writing this week about why investing in Generations Quest for your family makes sense - today I'm sharing another reason to do this . . . because since God's Word changes lives and helps us walk with God, why wouldn't we want to invest in a tool which gives us a simple way to do this? No long reason. No big explanation. Just the simple truth - God's Word makes a real and important difference in the lives of our family, so at less than $1.50 a month, why wouldn't we want to invest in Generations Quest, and do so today? 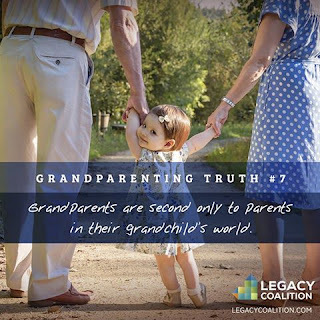 You will find all the information you need and the link to get Generations Quest for your family at this link - subscribe and please share this link with the people you know. When you look at the world in which we live, do you wonder how the children you love will be able to maneuver around and through the many, “land-mines” which surround them?